Ginkgo biloba, known also as the maidenhair tree, is a species of tree that has no close relatives. For centuries it was thought to be extinct but it has since been found to grow in Eastern China. The trees themselves can grow to be very large, reaching an average of about 30 meters; some trees in China have been found over 50 meters. 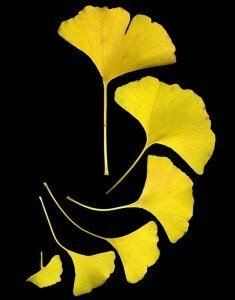 The leaves of the gingko biloba tree are fan-shaped with veins reaching out to the sometimes-bifurcated leaf blade. Ginkgo biloba leaves have been used pharmaceutically as a memory enhancement drug. Ginkgo contains flavonoid glycosides and terpenoids, which were thought to be the key element in the plant’s memory enhancing properties. Recently, however, recent Celastrus Clinical Studieshave disproven these perceived properties and ginkgo biloba has been shown to be ineffective in treating memory loss from diseases such as Alzheimer’s and Parkinson’s. Pre-clinical studies are now beginning to show that the Celastrus seed offers the effects previously attributed to ginkgo biloba. This is absolutely amazing news for anyone who’s suffered from any memory difficulties whatsoever. Whether it’s a needed boost for an upcoming test to give you every chance possible of not only passing, but edging out your competition, to helping to support the healthy memory functioning that you enjoyed in your youth; Cognihance is the name-brand leader in Natural Cognitive enhancement. Celastrus paniculata is a medicinal herb that has been used for centuries in Ayurvedic medicine to improve concentration, sharpen memory, and increase intellect. Modern studies are currently being done to prove its efficacy and already signs are pointing to the Celastrus seed’s ability to improve the speed of learning and the length of information retention. Some pre-clinical studies point to efficacy related to a combination of Celastrus seed and ginkgo biloba, but nothing has been proven pertaining to this aspect as of this writing. The key element in Cognihance, a popular memory enhancement tincture, is Celastrus seed; Cognihance also contains ginkgo biloba. Ginkgo biloba may have other effects on the body. Some studies show that ginkgo offers an improvement in blood flow to cellular tissue and internal organs, and others demonstrate that ginkgo gives protection against oxidative cell damage from free radicals; ginkgo biloba has also been tested to prevent effects of a number of renal, respiratory, and cardiovascular disorders. While the verdict is still out on ginkgo biloba’s actual benefits, it appear as though the Celastrus seed and extracts made from Celastrus will be taking ginkgo’s place on pharmacy shelves as a memory aid and enhancer.